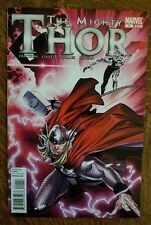 Thanos Imperative Devastation#1 2011 MARVEL Silver Surfer HOT comic !!!!!!!!!! DAREDEVIL #35 (2014) MARVEL COMICS 1ST PRINT! MARK WAID! CHRIS SAMNEE ART! BATMAN THE DARK KNIGHT #1 (2011) DC COMICS AMAZING DAVID FINCH ART! 1ST PRINT! DAREDEVIL #32 (2013) MARVEL COMICS 1ST PRINT! MARK WAID! CHRIS SAMNEE ART! DAREDEVIL #31 (2013) MARVEL COMICS 1ST PRINT! MARK WAID! CHRIS SAMNEE ART! DAREDEVIL #33 (2013) MARVEL COMICS 1ST PRINT! MARK WAID! CHRIS SAMNEE ART! This page was last updated: 24-Apr 03:53. Number of bids and bid amounts may be slightly out of date. See each listing for international shipping options and costs.